Newmarket Holidays believes in offering customers holidays of real quality at affordable prices. It is, perhaps, the extensive experience of staff at Newmarket Holidays that has resulted in them being able to offer their customers once in a lifetime tours to some of the most colourful and exciting destinations in the world without impacting on the quality of the tour. With over 30 years’ worth of experience of operating organised tours, Newmarket Holidays has the expertise to put in place first-class travel arrangements and high-quality accommodation options at very affordable prices. The company’s staff pride themselves on their customer service skills, and strive to ensure that every need and requirement is met during the holiday. From initial contact through to returning their guests safely to the point of origin, Newmarket Holidays insists on professionalism and a friendly approach at all times. It is therefore easy to understand why so many guests trust Newmarket with their holiday arrangements every year. Newmarket Holidays only uses reputable airlines when transporting their customers to their chosen destinations. In order to ensure that their customers arrive fresh and relaxed, and ready to begin their exciting adventure, Newmarket Holidays have taken great care in selecting each airline. The hotels provided on each tour are of particular importance. Newmarket Holidays recognises that choosing the most suitable hotel for customers is vitally important. After a day of travelling or sight-seeing, it is very important that the hotel is able to offer all the facilities and services visitors might need to unwind and relax. Location and comfort is particularly important in relation to the itinerary, and all the hotels used have been chosen with those two important aspects in mind. Newmarket Holidays was founded in 1983 in order to provide its customers with holiday and travel experiences with a difference. For thirty years, Newmarket Holidays have been offering short breaks, holidays and trips of a lifetime, each offering great value-for-money and with Newmarket Holidays’ promise to be there every step of the way. From the moment of booking to long after the return home, Newmarket Holidays are on hand to ensure everything runs smoothly, and all questions are answered; yet the real difference is during the trip itself. No matter whether customers choose a single day trip to see a West End musical, a three-week extravagant vacation to the other side of the world, or something in between, the Newmarket Holidays Tour Manager is right there making travel arrangements, answering queries, pointing out the sights and places of interest and bringing the destination to life. The Newmarket Holidays experience begins the moment a customer signs up. Before booking and travel, customers are sent comprehensive Joining Instructions, which detail every aspect of their chosen holiday, no matter where they are going or how long for. Newmarket Holidays customers can have further questions answered by visiting the website, or over the telephone by one of the experienced, friendly and professional Newmarket Holidays team. The excellent level of customer care combined with carefully thought out and great value-for-money holiday experiences are what keep Newmarket Holidays customers coming back time and time again. Each Newmarket Holidays experience has been carefully chosen to provide the traveller with the best possible experience for their money. A full itinerary, which can be seen prior to booking on the Newmarket Holidays website, offers a selection of all the very best sights, sounds and tastes of the chosen destination. All accommodation and transfers are taken care of by the Newmarket Holidays Tour Manager, along with a variety of excursions for longer vacations, some of which are optional. Each trip also includes free time to explore locations individually or as part of a group. Upon their return home, Newmarket Holidays customers can choose to receive email updates, informing them of upcoming holidays or short breaks which may take their fancy. When the sun sets on the summer holidays and the autumn leaves start to fall, the thoughts of many people turn to Christmas. Newmarket Holidays knows that those who love the festive season delight in experiencing the buzz and life of Christmas Markets. Europe has some of the largest and most spectacular Christmas Markets to enjoy, so the team at Newmarket Holidays have established a very successful range of winter tours that take in the delights of these sparkling events. With 30 years’ worth of experience in the industry, Newmarket Holidays knows what their customers want. The Newmarket Holidays Christmas Market Breaks get booked up well in advance, so customers hoping to secure a place on one of these coveted tours need to book early. Once their place has been reserved, Newmarket Holidays customers can let the tour company take the strain, and relax and enjoy making preparations for a fabulous Christmas Break in one of many charming European cities. The Prague Christmas Markets tour from Newmarket Holidays is especially popular. The four-day trip to one of Europe’s most beautiful cities includes not only the markets, but also a guided walking tour that will help Newmarket Holidays customers make the most of their time in this charming, historic city. An optional day excursion to Dresden further enhances the appeal of this Newmarket Holidays tour. Another perennially popular Christmas Market tour is the Newmarket Holidays visit to Barcelona. Here, Catalan influenced street markets bring a taste of the exotic to Christmas, and have the added benefit of being located on the Mediterranean coast. Newmarket Holidays travellers to Barcelona can wander the Christmas markets at their leisure, and enjoy the guided city tour that is included in the Newmarket Holidays price. All over Europe, the festive season takes hold through November and December. Additional Christmas Market Tour destinations from Newmarket Holidays include Krakow, Italy, Switzerland, Austria and various locations in Germany. For those wanting to use Newmarket Holidays in order to celebrate but remain closer to home, the equally delightful Christmas Markets in Edinburgh as just a short flight away. Each destination holds its own appeal, with the cultural influences of each country adding a unique flavour to the experience. If the Christmas Market Breaks from Newmarket Holidays raise the festive excitement to the next level, then Newmarket Holidays customers can also take advantage of a longer tour, perhaps taking in the wonders of Lapland, complete with a visit to see Santa, or planning an exotic Christmas away from home in on the French Riviera or the shores of Lake Garda in Italy. Christmas is a time for celebration, and the season to sit back, relax, and enjoy life to the full. Newmarket Holidays knows that traditionally, people have stayed home over the Christmas period, spending time with family and friends. Yet family units have become increasingly distant, with members scattered far and wide around the country, and around the globe. Newmarket Holidays understands that people’s ideas about Christmas have changed over the years, with many now choosing to celebrate Christmas away from home. The Newmarket Holidays range of Festive Holidays is specifically designed to meet this demand. On offer from Newmarket Holidays is a wide choice of tours to be taken over the Christmas or New Year period, to some of the most spectacular destinations that Europe has to offer. Whatever your idea of the perfect Christmas, Newmarket Holidays has a trip that is sure to hit the spot. 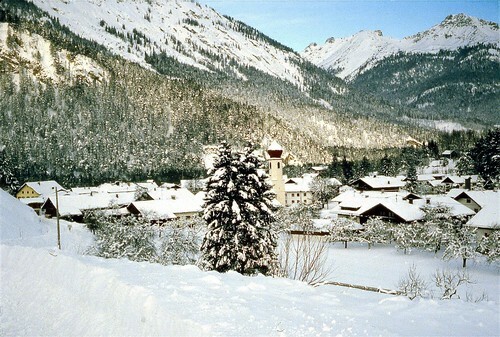 Who could resist the charms of Christmas in the snow-capped Austrian Tyrol? Newmarket Holidays knows that the traditional image of a Winter Wonderland is one that holds great appeal for Newmarket Holidays’ customers. As with all Newmarket holidays, the Austrian Christmas tour offers Newmarket Holidays customers the chance to explore the stunning region around Innsbruck, where the tour is based. A guided festive lantern walk and a chance to shop at the lively Innsbruck Christmas Market are just two of the many highlights to be enjoyed by Newmarket Holidays travellers. Many people prefer to avoid the snow in winter, and it has become popular to escape to the sun. Always in tune with the diverse demands of its customer base, Newmarket Holidays has also included in its portfolio Christmas and New Year tours to sunnier climes. The Newmarket Holidays Christmas on the Costa de Sol is a popular choice for holidaymakers who prefer the warm glow of the sun to that of a log fire. Newmarket Holidays has chosen its Mediterranean destinations with care. The summer hotspots of Torremolinos and Benalmadena transform in winter from packed beach destinations into more sedate resorts – perfect for the winter traveller. The grand square in the centre of Torremolinos is the ideal place to sit and watch the world go by; a rare treat for those more used to the British winter. Newmarket Holidays visitors can also enjoy exploring the stylish promenade, and the quaint fishing quarter at Bajondillo. Just a short hop away, the award-winning beaches and impressive yacht marina at Benalmadena are top attractions for those Newmarket Holidays customers choosing this as their base. These are just two of the many destinations available from Newmarket Holidays over the festive season. Alternative destinations for Christmas or New Year include the Highlands, Jersey, Lake Garda, London, the south of France, and Germany.